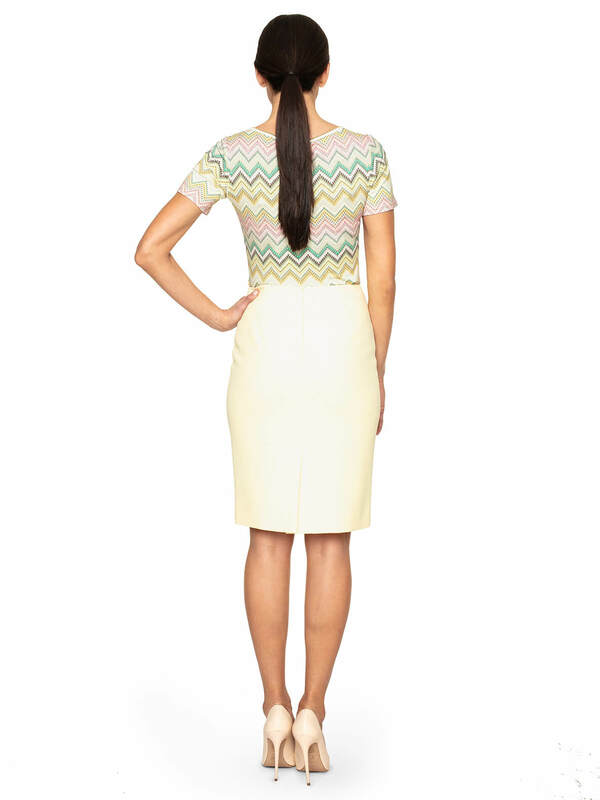 Canaries pencil skirt is one of a few elements from the new collection of Potis & Verso in a fashionable canary colour. Ideal for you, in spring and summer. Canaries skirt has a cut close to the body and reaches to the knees. Bleached, pastel colour and a versatile cut make it the perfect base for styling for the coming warmer days. Canaries will create a harmonious pair in combination with a jacket from the same series. You can also combine it with a white jacket and a shirt. Regardless of which top styling you choose, choose the right shoes, handbags and other accessories – yellow, white, beige or two-coloured – for an elegant outfit.